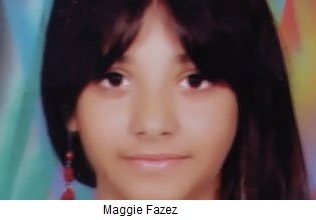 Her Father said that Maggie has abstained from taking food and is suffering psychologically because of this incident. Dr. Naguib Gabriel, head of the Egyptian Union of Human Rights Organization said that this was the second time in one week that a schoolgirl has had her hair cut off. The first was a girl in first grade at Saray el Koba High School, he said. Dr. Gabriel asked the Minister of Interior to speedily find this veiled women who is cutting the hair of students and bring her to trial, similar to the veiled school teacher in Luxor who is standing for trial for cutting off the hair of two of her students last month because they did not wear a Hijab.